Visualize your i-MINILide measuring curves on http://www.iminilide.com/ ! 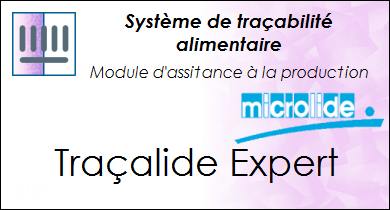 MICOLIDE is the leading company for measuring devices and systems in the French food service industry. For more than 20 years, our solutions guarantee a continuous control of cool chain and food processing reliability and traceability. More than 1200 installations country-wide prove the know-how of MICROLIDE. See a detailled list of all our products on the Products page. Data loggers with 1 to 16 channels and touchscreen display. Temperatures and other data records are managed and logged on internal memory. 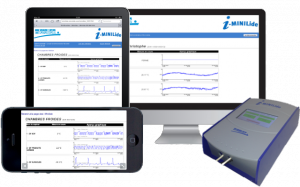 The logger sends alerts when levels exceed predefined settings. 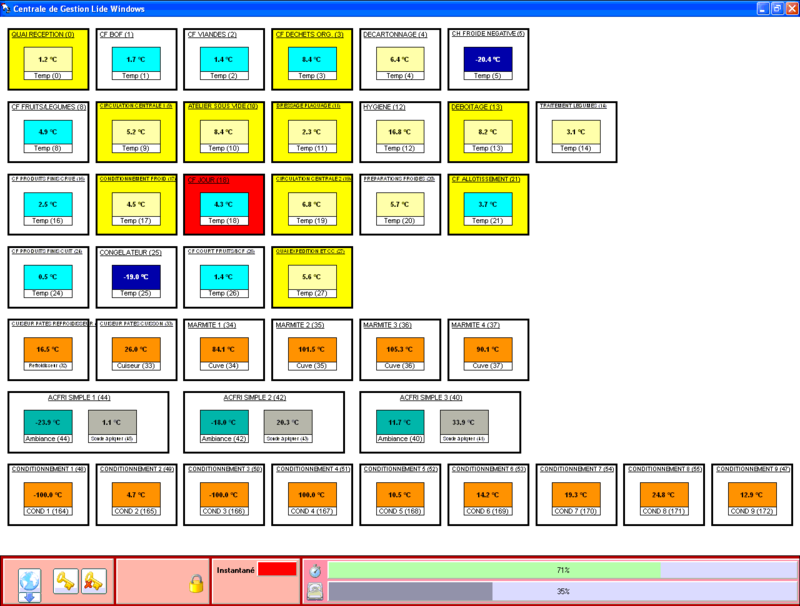 Allows direct access to the data with graphics on screen or on PC. Easy communication via USB plug and/or local network cable (RJ45 socket). Centralisation of all sensor data (temperature, humidity, technical defaults, entries and exits, level indication, pressure…). Data monitoring and storage. Direct connections (RS232, RS485, RJ45) to ovens, refrigeration chambers, etc. CGlide exists in different versions: wire (Bus RS485), computer network (connection to existing network) and wireless (radio transmission). Identification and follow-up of product batches by bar code reading. A wide range of system functions including data exploitation, reporting and certification. 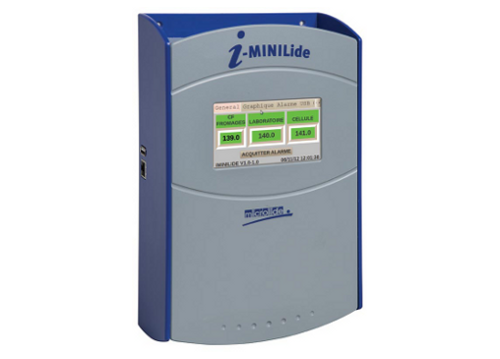 For more information about i-MINILide and to consult records of connected i-MINILide data loggers. 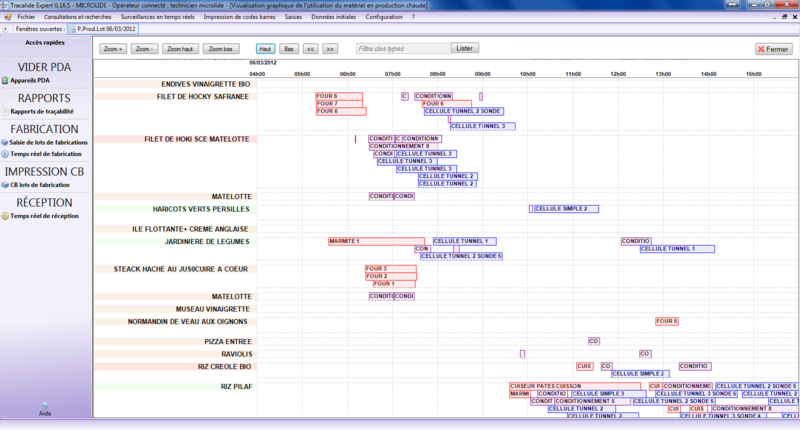 The traceability system Traçalide Expert delivers data all over the production process and provides valuable information for the production planning. Learn more about our Traçalide Expert traceability system.